The Treasury Department said Thursday that it has raised $10.5 billion from the sale of Citigroup’s (C) common stock pursuant to the completion of its second trading plan with Morgan Stanley (MS) as sales agent. According to a statement released by the Treasury, to date, the department has sold a total of approx. 2.6 billion shares of Citi’s common stock at an average pps of $4.03. The Treasury, which received 7.7 billion shares of Citigroup last summer as part of the exchange offers conducted by Citigroup to strengthen its capital base, still owns 5.1 billion shares of Citi stock and expects to continue selling its shares at a future date. The latest sale on Thursday was about 1.1 billion shares, the release said. 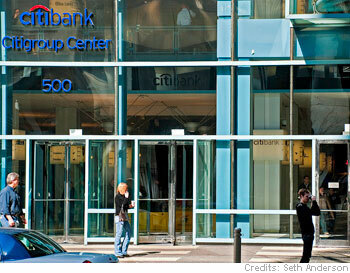 Citigroup is scheduled to report their second quarter earnings on July 16.